BWH physicians, nurses, nurse practitioners and physician assistants participate in Interprofessional Debriefing Course training, led by Chuck Pozner, MD, (third from left) and Dorothy Bradley, MSN, RN (not pictured). In a clinical setting, the process of debriefing is central to patient care and the education of clinicians and trainees. The standard definition of “debrief” is to carefully review a task or event after it is completed. Other high-risk industries have been using debriefing as a tool to enhance safety, and the medical application is very similar. Debriefing helps care teams reflect on a significant event or exchange that happens under their care, after the fact, in order to learn from it. But sometimes it’s as if care providers are speaking different languages and are on different pages. That’s where the Interprofessional Debriefing Course comes in. Overseen by Nursing Simulation Center Director Dorothy Bradley, MSN, RN, and Neil and Elise Wallace STRATUS Center for Medical Simulation Medical Director Chuck Pozner, MD, the course is a joint program between BWH Nursing and STRATUS offering a 3.5-hour monthly training that provides a variety of care providers (physicians, nurses, nurse practitioners, physician assistants) a framework with which to effectively debrief clinicians by sharing perspectives and experiences after a significant event. 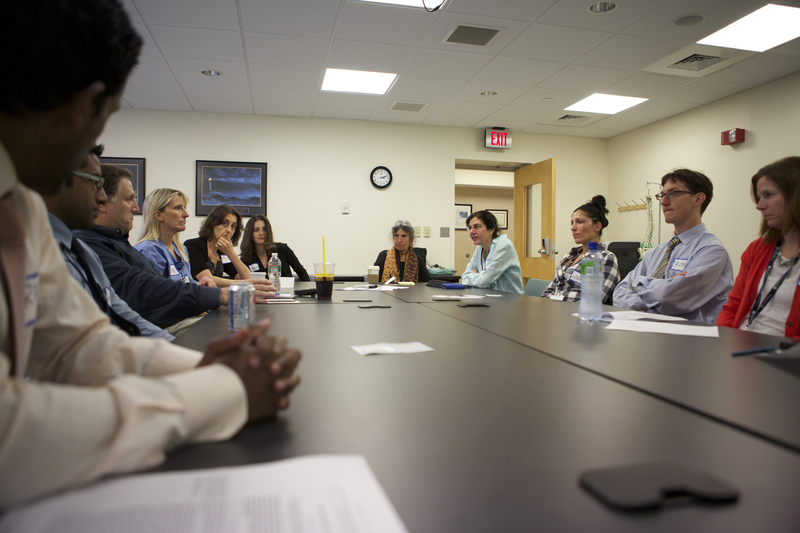 Neonatal ICU Medical Director Robert Insoft, MD, coordinates the training, which brings nurses, nurse directors, physician assistants and physicians together to talk about how to debrief after an event. Bradley says that it’s this awareness and open communication that can change behaviors during later interactions, reduce errors and lead to a better understanding among care providers. During the training, which is usually held in STRATUS and limited to 10 people at a time, participants watch different patient care videos and then engage in the art of debriefing. Often, different care providers use different terms to describe the same phenomenon, so the training helps bring everyone onto the same page. “We want participants to learn the principles and science of debriefing, and provide them with resources and tools to use both in the simulated environment as well as in the clinical area,” said Pozner. The feedback for the course has been overwhelmingly positive. Is it possible to send me the debriefing took u used? Many thanks.